POSTAGE-PAID ballot envelopes clearly improve election turnout. 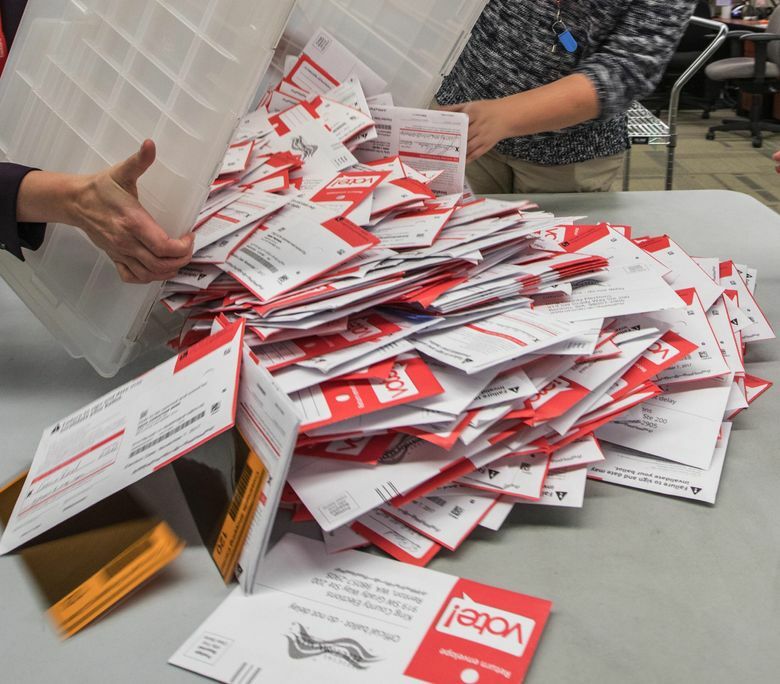 If King County officials are convinced the idea would improve turnout in Washington’s most populous county, the impact statewide would be even greater, especially in rural areas where ballot drop boxes are less common. When King County ran a pilot last year to measure the impact of postage-paid envelopes, officials found about an 8 percent bump in voting compared with previous election returns. As King County prepares to take the idea countywide, Washington Secretary of State Kim Wyman says if it’s a good idea in one county, where ballot drop boxes are readily available, then the state would clearly benefit as well. Wyman has asked Gov. Jay Inslee for $2 million in emergency funding to pay the postage on ballots returned statewide. While some counties, like King, have the resources to make this happen on their own, others facing serious budget problems simply do not have the cash. Wyman is rightly concerned about voter fairness because King County voters might have greater influence if the postage-paid ballots improve turnout, as expected. She also wants to pre-empt voter confusion because some citizens might think the King County program applies statewide. Thirty percent of the state’s registered voters live in King County. Making it easier for those voters could give them even more say this fall with potential statewide initiatives on gun laws and a carbon tax. In addition, a heavily contested fight in the 8th District to replace U.S. Rep. Dave Reichert could be heavily impacted by turnout disparity because the district spans four counties. “Neither of us wants any Washington resident to be treated unequally,” Wyman wrote in her request to the governor for emergency funding authority. State lawmakers proposed a bill to study postage-paid ballots statewide but the measure did not pass. Rushing into change is not usually a good idea, but in this case it makes sense, and the state should find the funds to do it. The fiscal impact would be relatively small. Wyman’s request of $2 million would reimburse counties for the postage on returned ballots for the Aug. 7 primary and the November general election. Any effort to make voting easier is a positive move for democracy. Correction: This editorial has been corrected to show lawmakers proposed a bill to study postage-paid ballots statewide but the measure did not pass.